Maintaining your health as you age can be a challenge, especially when some body functions cease or decrease over time. For example, when women go through menopause, their ovaries reduce production of several essential hormones. This causes a slew of adverse effects that can include impairment of brain functions. While hormone therapies can alleviate these effects, they also pose their own health risks. Heather Bimonte-Nelson, a neuroscientist and associate professor of psychology at Arizona State University, is working to find the optimal hormone profile for menopausal women, or what she calls "that key, beautiful balance that will result in a healthy aging brain." She was recently awarded $1.6 million by the National Institute on Aging, one of the National Institutes of Health, to pursue this goal. This is a renewal of research started about five years ago by Bimonte-Nelson, who leads the Neuroscience of Memory and Aging Lab in the College of Liberal Arts and Sciences. She and her team of students have already produced more than 20 journal publications in the initial grant period. Through the new award, Bimonte-Nelson and her team plan to identify the optimal treatments for women going through both surgical and transitional menopause, which require very different considerations. Transitional menopause happens when a woman's menstrual cycle and fertility end naturally. The ovaries begin producing less estrogen and progesterone, but continue pumping out androgen, which Bimonte-Nelson's lab has recently linked to memory problems in animal studies. Surgical menopause happens when the ovaries are removed, usually to treat conditions like ovarian cancer or severe endometriosis. As a result, the ovaries no longer release estrogen, progesterone or androgen into the body. In both cases, the reduction of hormones can lead to bone density loss, hot flashes and other symptoms, which is why women typically turn to hormone therapies. However, menopause can have cognitive effects as well. As estrogen and progesterone levels decrease in transitional menopause, an androgen called androstenedione becomes the primary hormone released from the ovaries. High levels of this androgen have been linked to memory impairment in Bimonte-Nelson's lab. The results have been replicated three times. 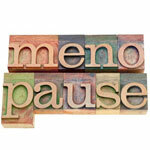 Most hormone therapies for transitional menopause include estrogen and progesterone. Estrogen alone can improve cognition, but it is also well-known to increase the risk of uterine cancer. Adding progesterone reduces this cancer risk. But studies in Bimonte-Nelson's lab suggest that it negates estrogen's benefits to memory. "Our approach is to take each of these hormone classes - estrogens, progestins and androgens - optimize them individually, and then combine them to find a therapy that will work to optimize brain aging without increasing the risk of cancer," says Bimonte-Nelson. Graduate students in the Neuroscience of Memory and Aging Laboratory will explore different aspects of the project. Sarah Mennenga, a doctoral candidate in psychology, will look at how the hormones used in birth control can be applied to women going through menopause. Bryan Camp, also a doctoral candidate in psychology, is detailing the new line of research into the role androgens play during menopause. First-year doctoral student Stephanie Koebele is testing the details of cognitive aging with different menopause parameters. Postdoctoral fellow Sheri Hiroi will examine whether depression relates to the associations between hormones and memory during aging. The lab's many efforts are further enriched by undergraduate and high school students working hard in the laboratory, according to Bimonte-Nelson. She credits her large team of students for creating an innovative and explorative environment where, she says, success is inevitable. "I am not sure how I ended up with the great benefit of working in this environment that nurtures creative and innovative approaches to tough scientific problems, and having the amazing students that I do, but I feel very lucky," she says. "It's an equation that results in success."